Earlier in the week, I wrote about the arguments against free trade. And I thought it would only be fair to balance that out by explaining why we’ve been pushing toward it for so long. Ultimately, this comes down to the principle of Comparative Advantage. And that principle is basically a jargonized way of saying: even if you are better at doing everything, I can still do some work and we’ll both be better off. Here’s the 60 second video clip explanation from the Open University. 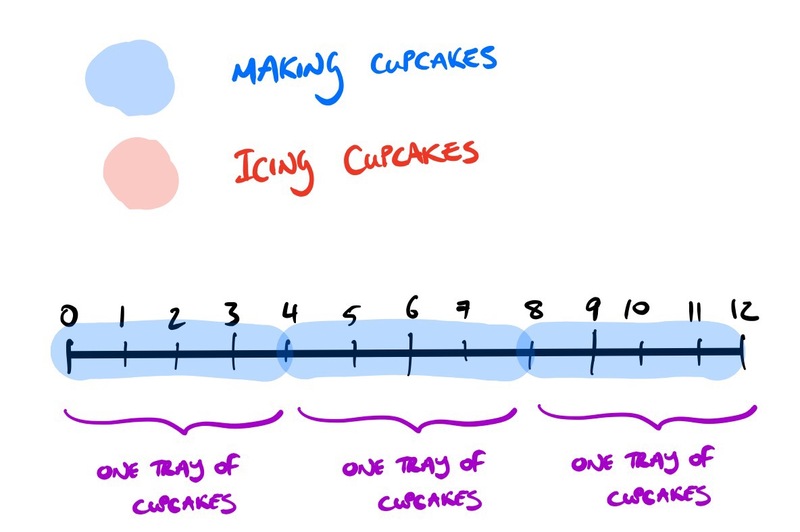 You are quicker at making cupcakes. I am quicker at icing them. 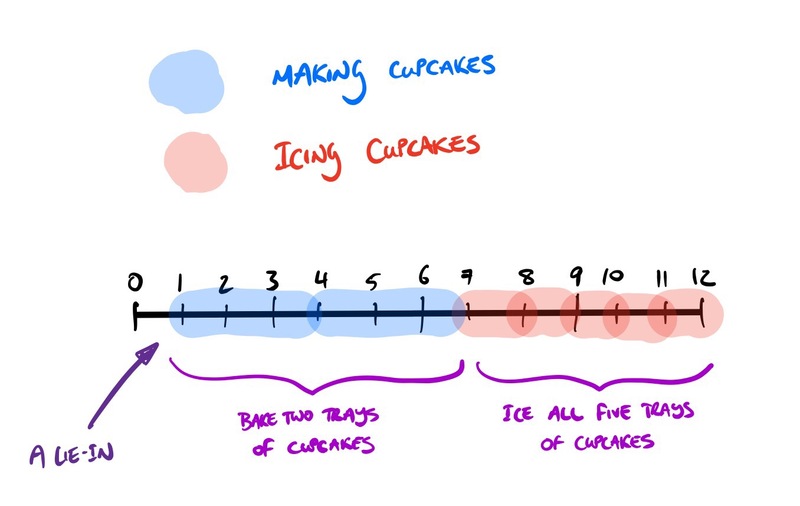 Therefore, if you make the cupcakes and I ice them, then we can make more cupcakes than if we did it the other way round. 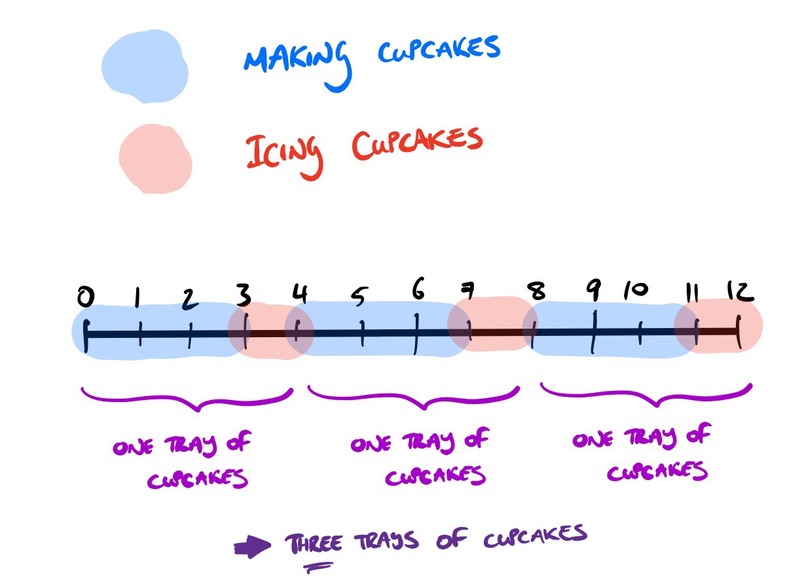 But what happens if you’re better at both making cupcakes and icing them? Is there room for me in that story? The good news is that there is. Although the less-good news is that you’ll benefit more than me. Let’s say that we have a single working day in which to make cupcakes (12 hours of time). And let’s say that it takes me 4 hours to make a tray of cupcakes, and then another 2 hours to ice them. Because there is only one of me, that means that I can make two trays of cupcakes (I’ll spend the first 8 hours baking them, then the next 4 hours icing them). You, because you’re better than me, take 3 hours to make a tray of cupcakes, and then 1 hour to ice them. And because there is only one of you, you can make three trays of cupcakes (you’ll spend the first 9 hours baking them, then the next 3 hours icing them). Between us, there’ll be five trays of cupcakes. 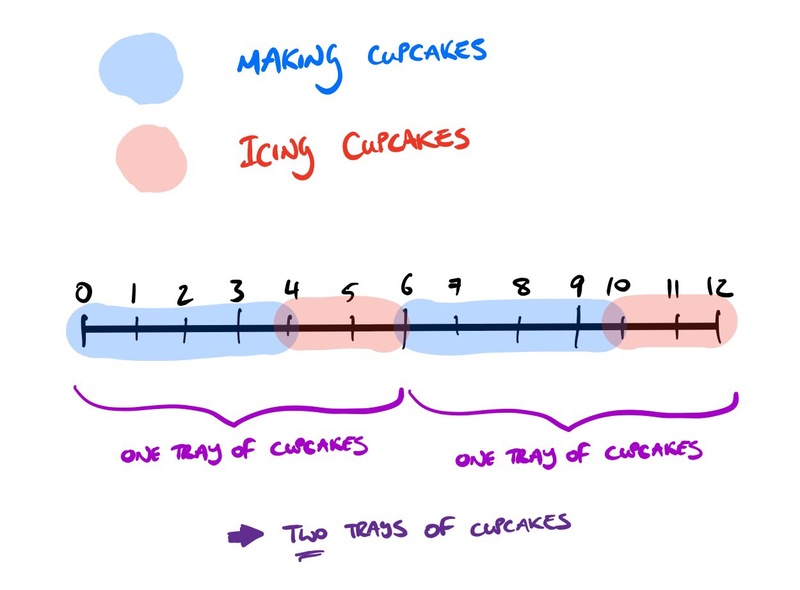 And no reason to split tasks, because you’re faster at baking and icing. Or is there a more efficient way to do things? If I don’t ice anything, and I just bake cupcakes, then I’ll produce three trays of cupcakes. You can produce two trays, ice them, and then ice my three trays, and we’ll still have five trays of cupcakes. Only, you’ll have done the work in 11 hours (6 hours of baking and 5 hours of icing). So you can have a lie-in.